Isabela Moner at the CNN Heroes: An All-Star Tribute at the American Museum of Natural History in New York City, New York on Sunday December 17, 2017. Isabela Moner at the 2017 Knott’s Scary Farm Black Carpet Event at Knott’s Berry Farm, 8039 Beach Boulevard in Buena Park, CA on September 29, 2017. Isabela Moner at the “The Nut Job 2: Nutty by Nature” Los Angeles Premiere at Regal LA LIVE Stadium 14, 1000 W Olympic Boulevard in Los Angeles, CA on August 5, 2017. 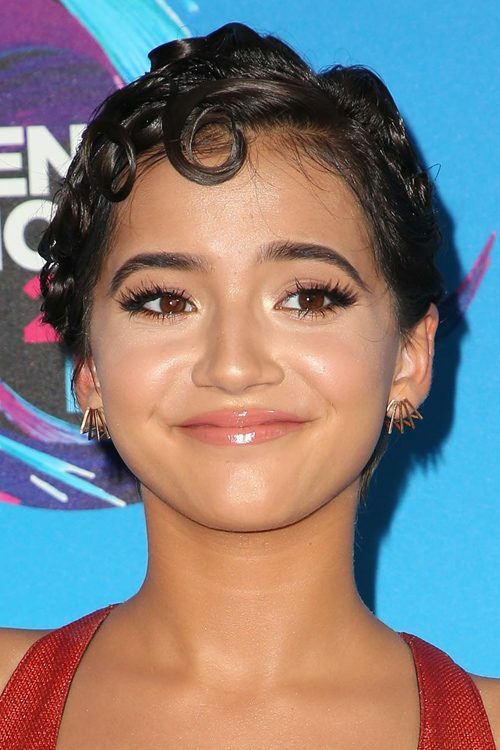 Isabela Moner at the 2017 Teen Choice Awards at USC Galen Center in Los Angeles, CA on August 13, 2017. Isabela Moner attends the Spider-Man: Homecoming Premierein Los Angeles, California on Wednesday June 28, 2017. Isabela Moner at the Transformers: The Last Knight Global Film Premiere at Leicester Square in London, United Kingdom on Sunday June 18, 2017. Isabela Moner at the Only The Brave film premiere in Westwood in Los Angeles, California on Sunday October 08, 2017. Isabela Moner at Cinemacon 2017 Big Screen Achievement Awards held at Caesars Palace Hotel and Casino in Las Vegas, Nevada on Thursday March 30, 2017. Isabela Moner at the 2017 MTV Movie and TV Awards and Press Room at The Shrine Auditorium in Los Angeles, CA on May 7, 2017. Isabela Moner at the 2017 iHeartRadio Music Awards at The Forum in Inglewood, CA on March 5, 2017.